Some of Key West’s most popular and beautiful, pristine reefs are situated just a few miles off shore and are easily visited with the assistance of the many Key West dive and snorkel charter guides. Wonderful snorkeling is also possible right from the Key West shoreline found on the south shore of the island in the Key West Marine Park. 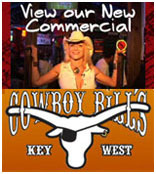 This exciting facility is run by the non-profit group Reef Relief and the City of Key West. Please visit our video about Reef Relief on ConchTV.com! 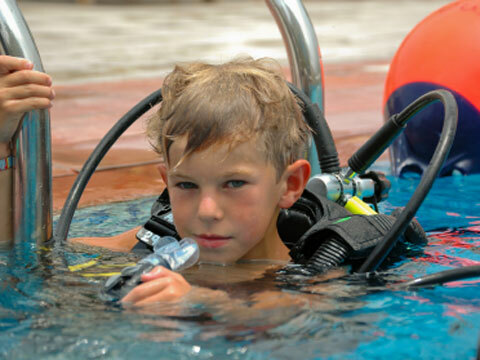 Additionally, Key West offers some of the best diving in all of the Caribbean. You can also take part in many of the snorkel charter boats popular to Key West. These ultra modern catamarans with fully trained crews will take you and your family out to the reef where you can snorkel in the crystal clear waters and experience endless diving opportunities among the beautiful coral. Imagine diving in the very waters where millions of dollars in gold and treasure lie just beaneath the sandy bottom. The Attocha was discover here and yielded not only many millions in gold and emeralds, but also provided an insight into the rich history of Spain and her sailing ships. Most recently is the creation of North America’s largest artificial reef by the sinking of the ex-USAFS Gen. Hoyt S. Vandenberg which was first commissioned as the troop transport USNS Gen. Harry Taylor. The ship saw service in WWII, post-war immigration, the Hungarian Revolution, and the Cold War. After decommissioning, it even starred in a popular motion picture. As an artificial reef, the ship will not only be a recreational resource for divers and fishermen, but will serve as an underwater classroom for the Florida Keys Community College, and be a platform for ground-breaking research in reef monitoring as mandated by the Florida Keys National Marine Sanctuary Management Plan. The ship’s distinguished history will continue in its final disposition as a recreational, educational and scientific resource.